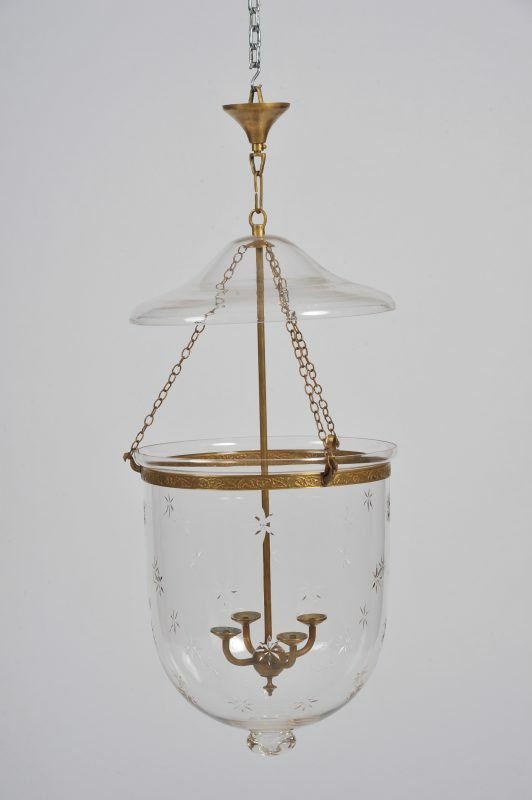 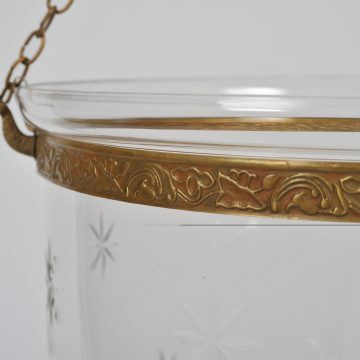 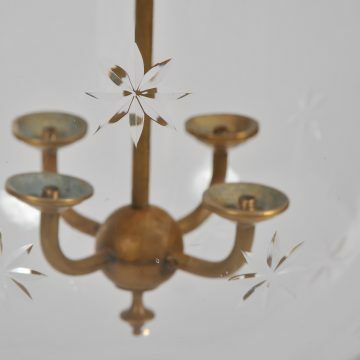 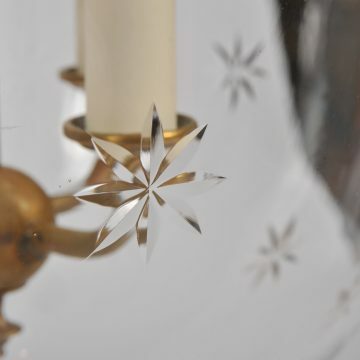 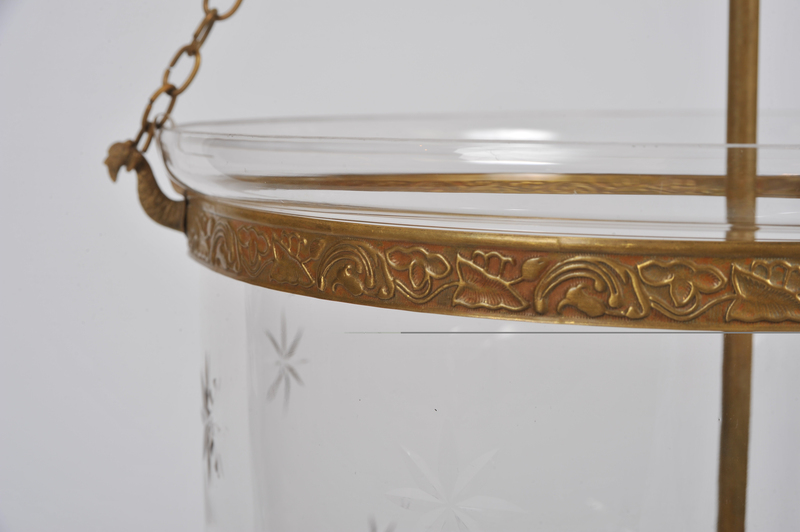 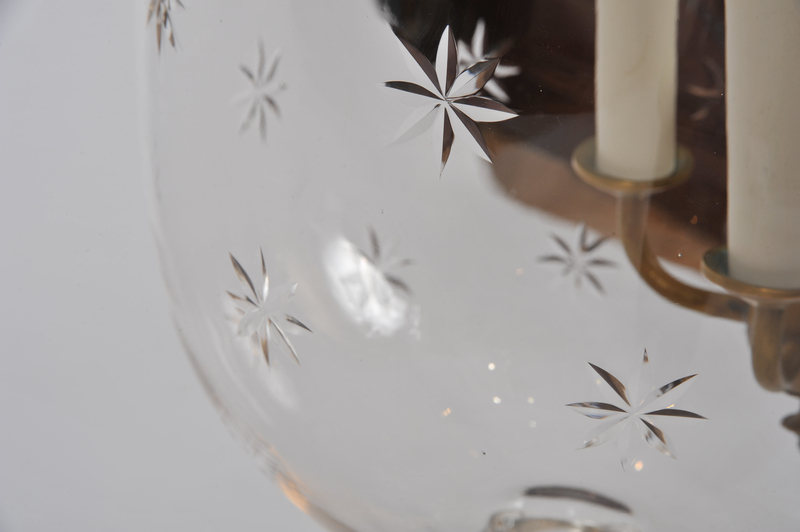 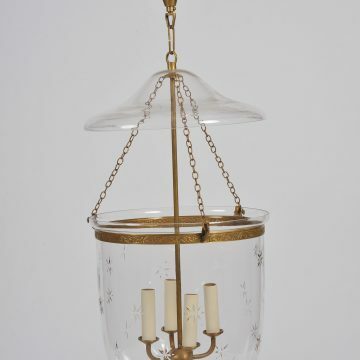 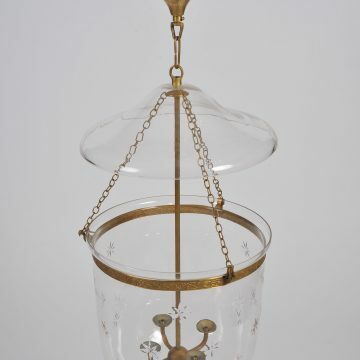 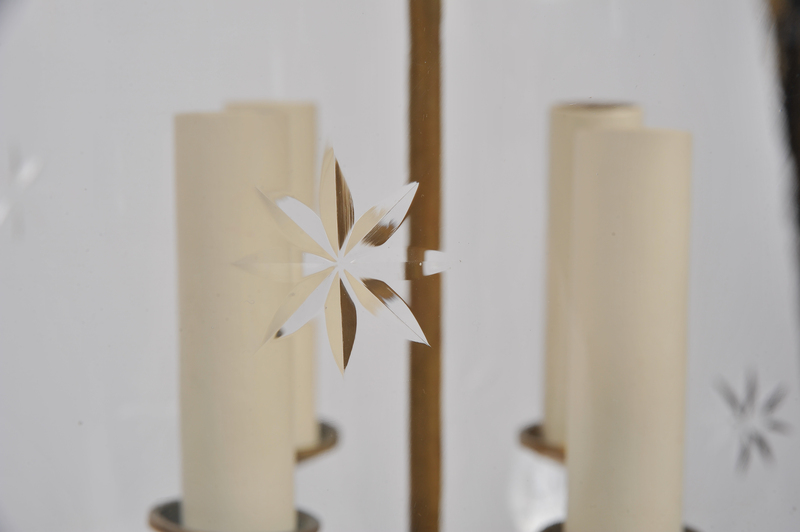 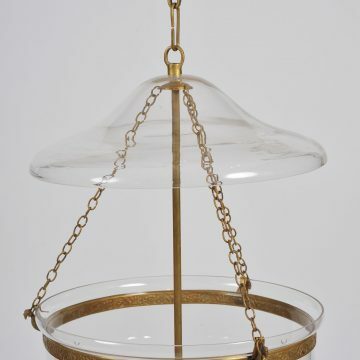 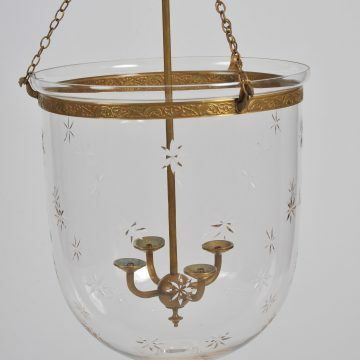 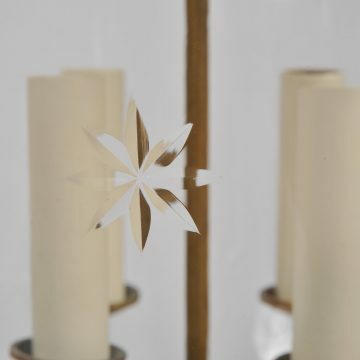 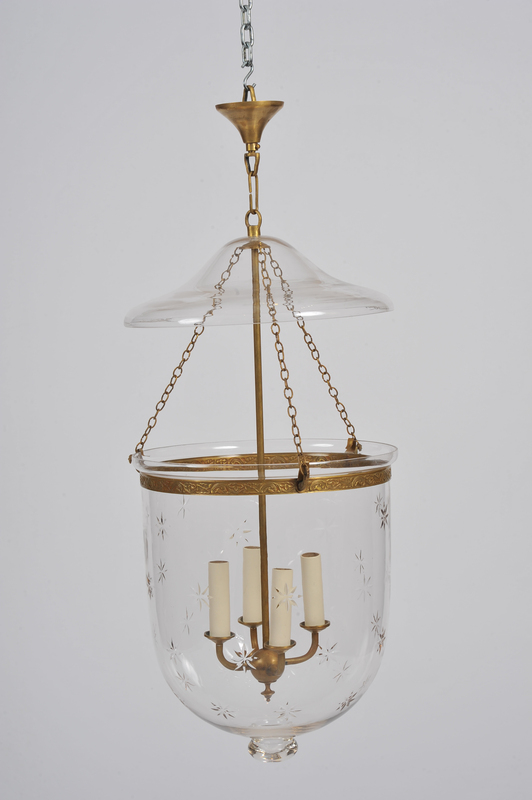 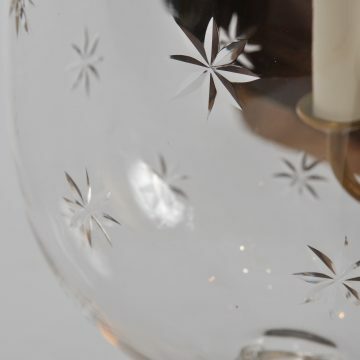 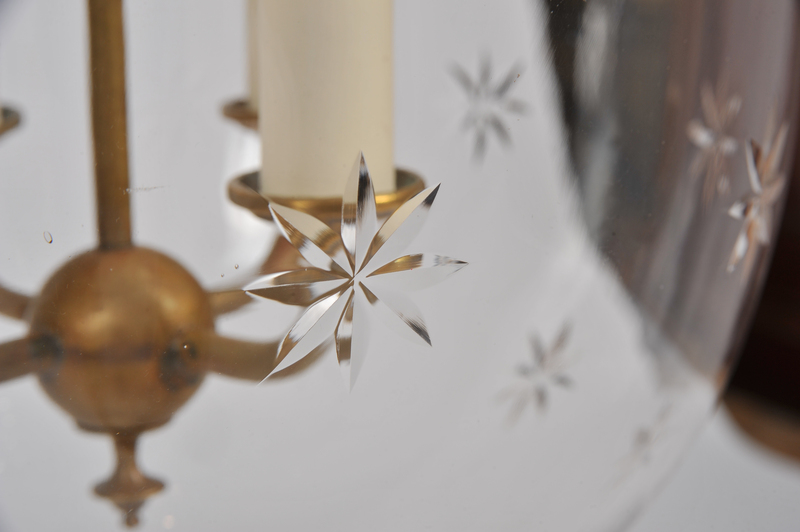 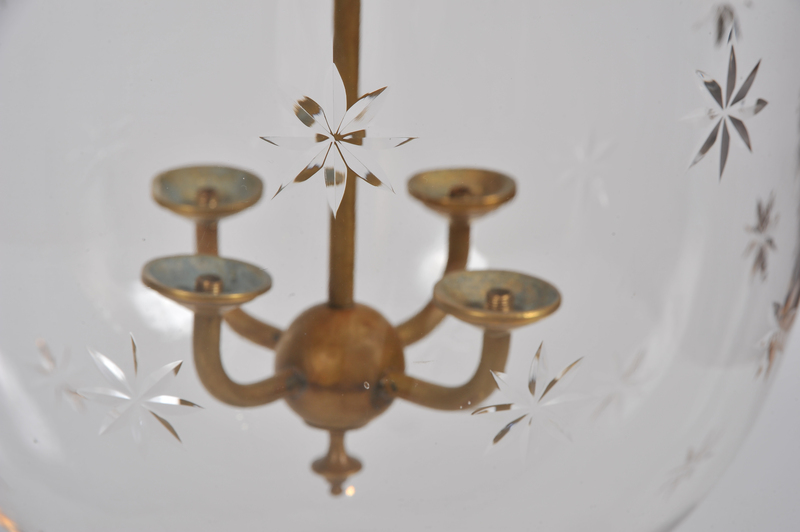 This elegant and well-proportioned handmade glass storm lantern features a blown clear glass shade with a cut glass star design and polished brass hardware. 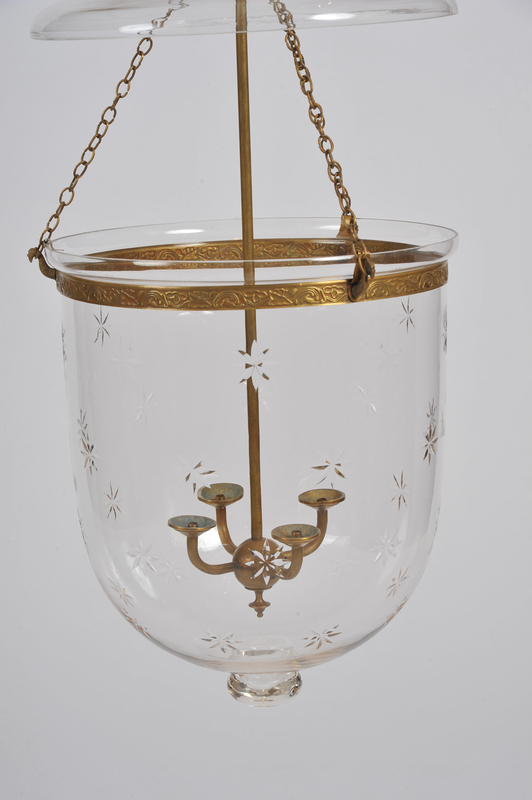 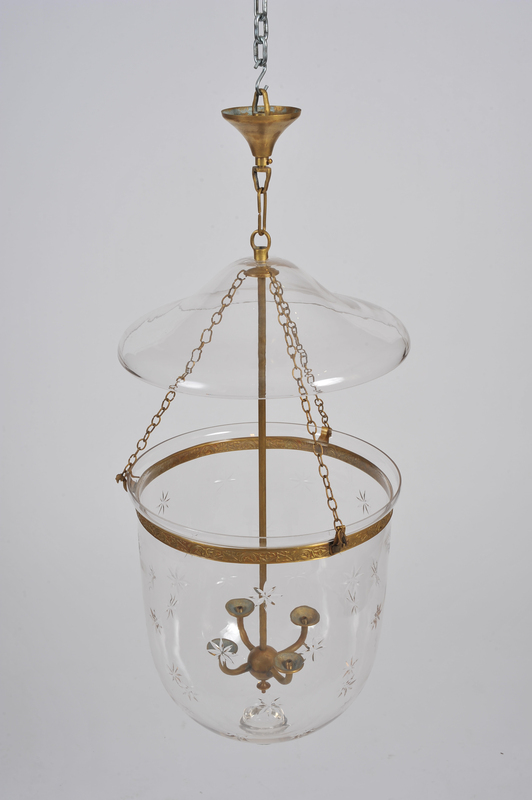 The lantern has a separate top plate and features an internal 4 light fitting. 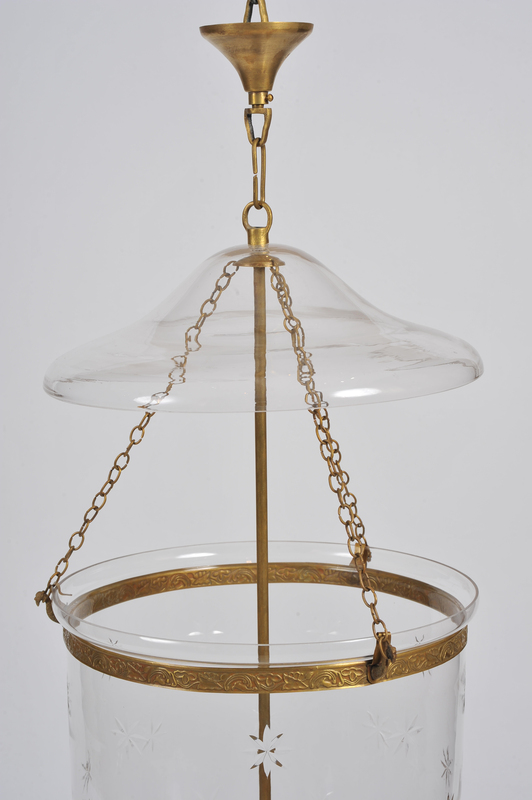 The light measures 14 in – 35.5 cm in diameter and approximately 32 in – 81.2 cm in total height. 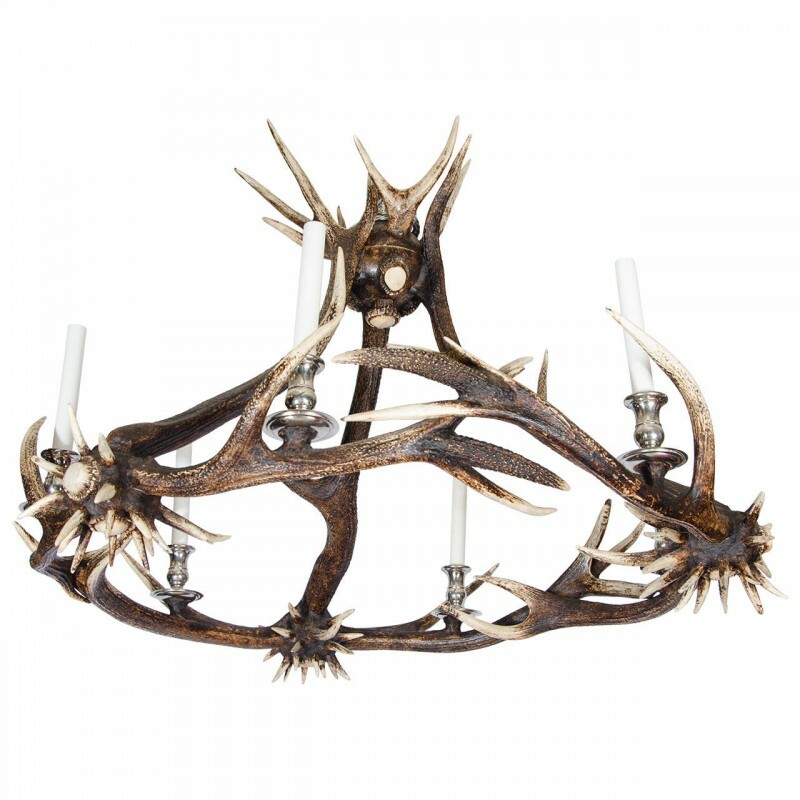 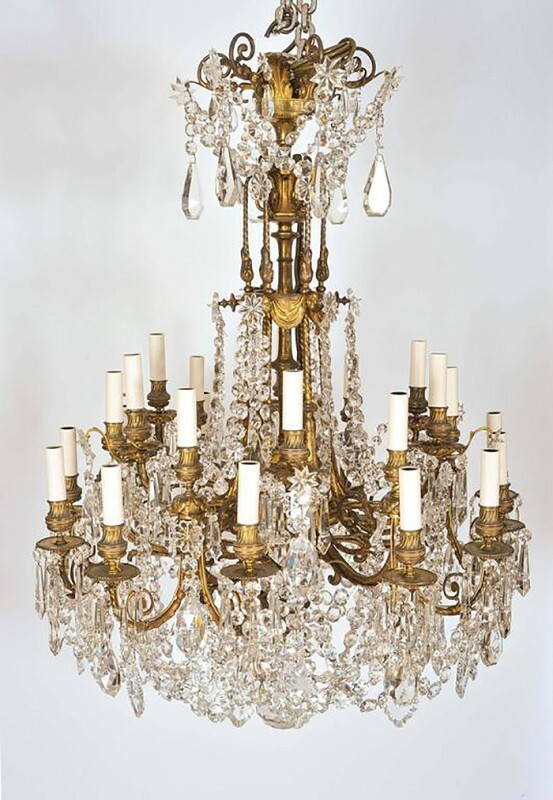 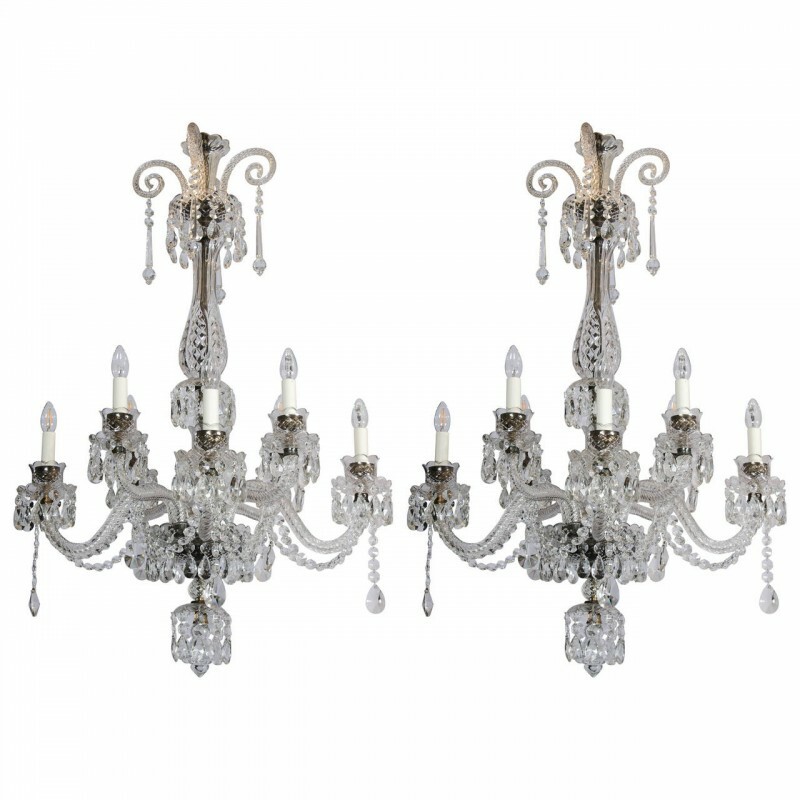 These lights would work well with a variety of styles and rooms, because of their elegant but simple design.